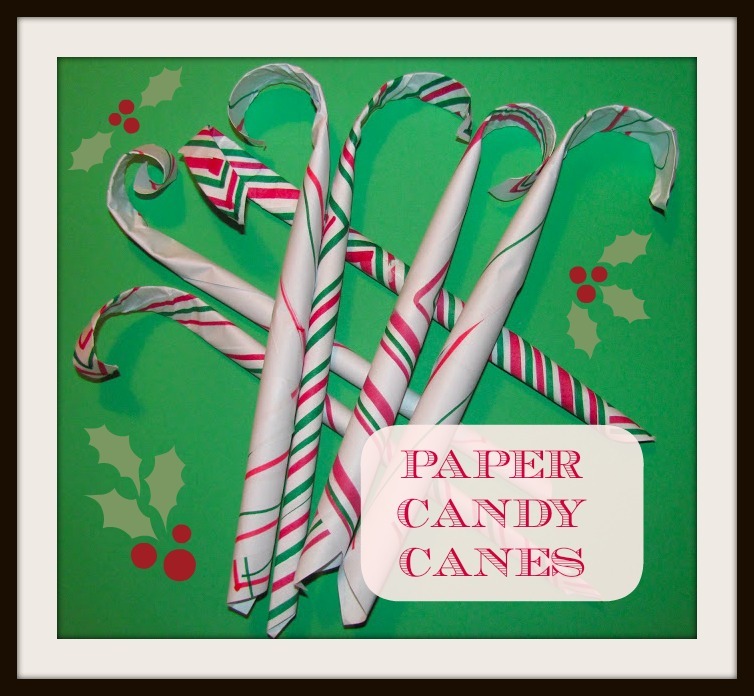 I've made these before with my Elementary Art students and they absolutely LOVED these Paper Candy Canes! It was a great project to do before the holidays and the fact you could make them so simply made it a real hit. I decided to try it with C too. She LOVED it too. It occupied her for a good hour or so. Keep reading to find out how to make these. SO EASY and with simple materials that I'm sure you have at home. 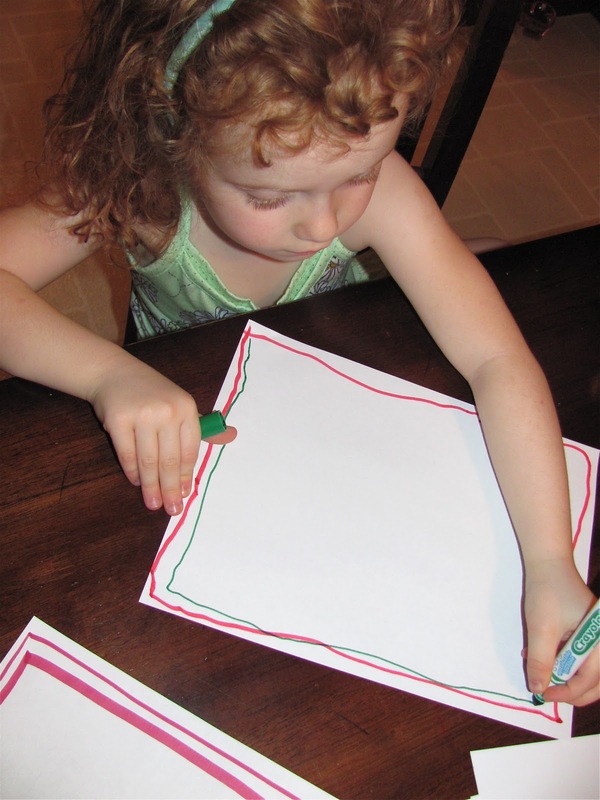 First, design a white paper of any size with markers/crayons with two to three lines along the edge of the paper. You can use a ruler if you want the lines straighter. I think using a ruler for C would have just frustrated her, but older children may appreciate a ruler. Turn your paper to the back side and then roll the paper from corner to corner so the drawn lines start to wrap diagonally to look like a candy cane. Use transparent tape to hold the peppermint roll together at the other end. After that, take a pencil and curl the top to look like a hook. 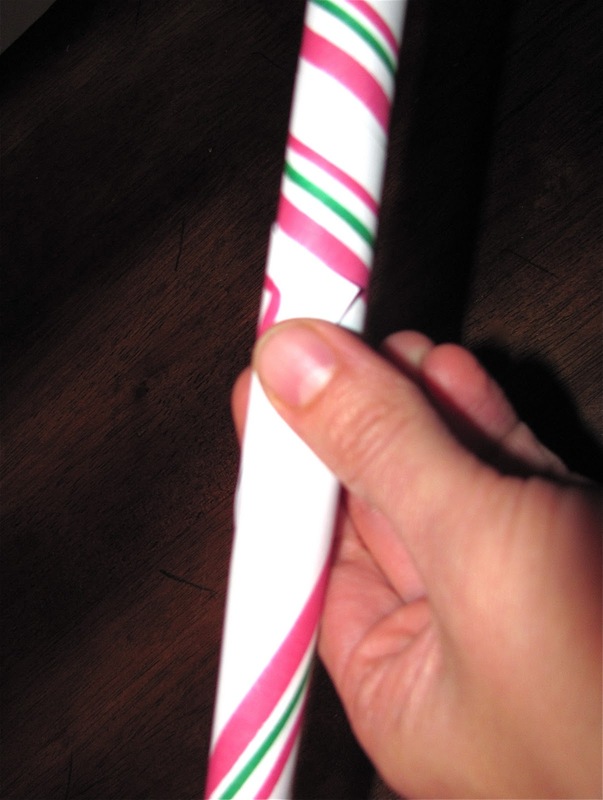 Now you have a paper candy cane. We made many! 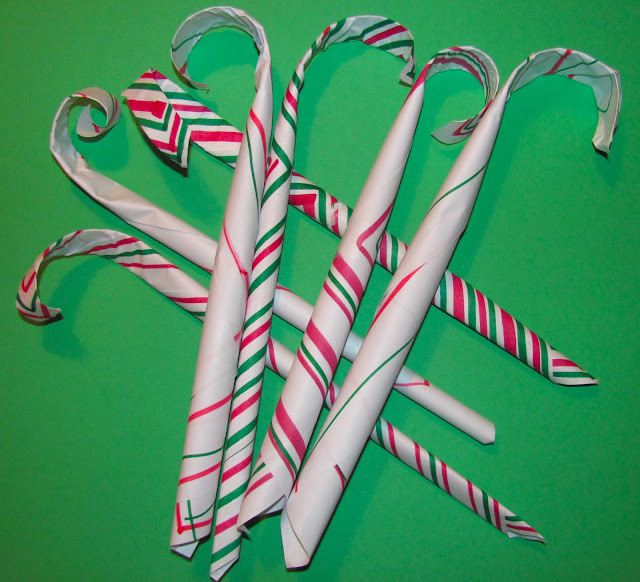 We made a lot....big, medium, and small sized candy canes... They could be hung on your Christmas tree like ornaments or even as a garland if they were attached to a ribbon. I can't wait to make these. I'm babysitting this week so I think I'll give it a go with all the kids! These are super cute! What fun! So cool. I love how the rectangles of color turn into the candy cane stripes. I never would have figured that out on my own!! this is really fantastic - thanks. Trying them tonight!! Adorable! And so easy!!! Thank you! how beautiful and clever, melissa! Nice idea. I'm gonna have to try this during our ABCs of Christmas theme week. 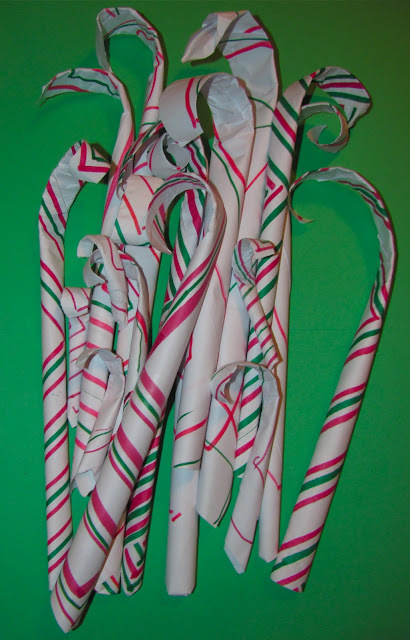 Will be great for C is for candy cane. Thanks. This was fun for me to see that you use this craft. I learned this from a co-worker many years ago, and she had been an elementary teacher before becoming our daycare assistant director. We just draw stripes diagonally across the paper. My children always like doing these because they are easy, but they are also sort of 3D. The holiday season is a great time for art and crafts - I'll be interested to see your wonderful posts! These are so cool and easy. Thanks for the tip! My daughter was very upset that they didn't hook very well - a pipe cleaner slipped inside saved the day! @Anonymous... Sorry they didn't work for you (the hook part). We made sure we curled the hook end really well on our pencils. A pipe cleaner may help if you want them to hang better. Thanks for the tip! Great idea! My daughter enjoys making lines, so this will be right up her alley. What a great post, these are such a lovely idea. Crowns, Crowns, and more Crowns!!! Make and Takes Book Review!! !